Living in the same town as the Clintons for close to two decades now (They moved to Chappaqua in 1999 a year after we did), our annual Memorial Day Parade has often been the center of national news att ention as Hillary Clinton has, I believe, marched in it every year since moving here, and Bill has marched in it or been downtown to support the marchers most years. 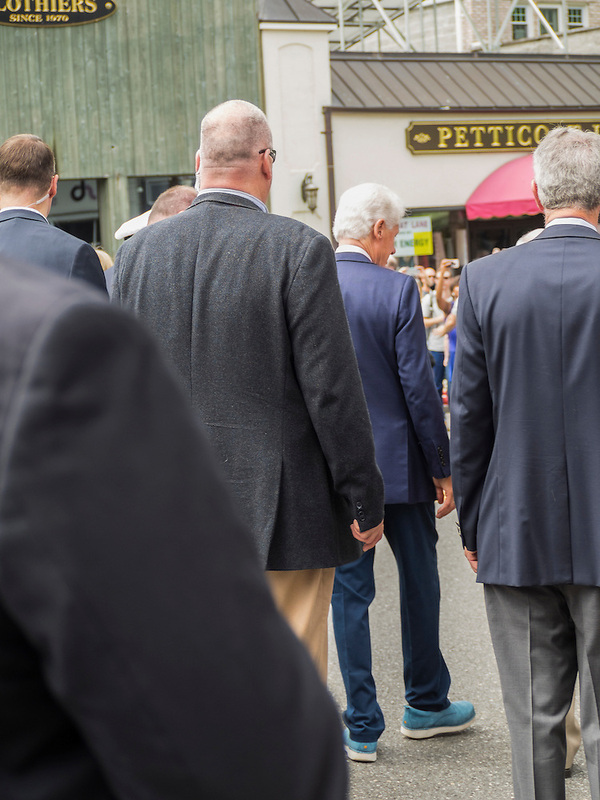 Despite a hectic schedule, on the way to becoming the first w oman president of the United States, I hope, she was here again, marching wih Bill and New York Governor Andrew Cuomo. The news turnout was larger than ever. The turnout of Hillary supporters was also huge, and there wasn’t a Bernie shirt, sign or button in sight (though I did see one misguided elderly man with a Trump poster). 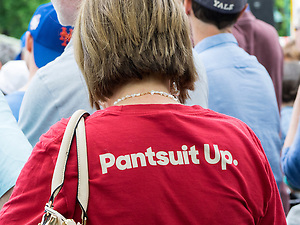 Love the “Pantsuit Up” t-shirt! I was there as a member of the press so I couldn’t show my support, but it’s nice to have a personal blog where I can share how I feel about this historic campaign. 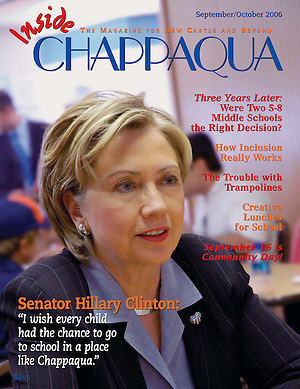 I first had the privilege of meeting Hillary Clinton during the 2006 parade, when I had 15 minutes in my favorite local deli, Lange’s Little Store, to capture a cover photo of the senator or Inside Chappaqua m agazine while Grace Bennett interviewed her for the magazine. I was struck by how friendly and approachable she was and have been a big fan ever since, so I’m very excited about her historic run. I had just purchased my first digital camera, and hadn’t yet learned to shoot RAW (this is a photography blog after all, so I have to say a little about that) Despite having nearly no time and working with a new camera, I’m still happy with the photos I took that day. Up until then I was a writer first and a professional photographer second, but suddenly both professions seemed to be equal, and I’ll always be grateful to Hillary and Grace for that. Here’s my favorite photograph of President Bill Clinton from this year’s parade wearing blue sneakers! It reminded me so much of the time several years ago when I severed my Achilles tendon, and was recuperating the same time as President Clinton was recovering from heart surgery. We often seemed to be out walking through town at the same time, me with my cane and he with a phalanx of Secret Service around him. He’d smile and wave as he saw me hobble by. 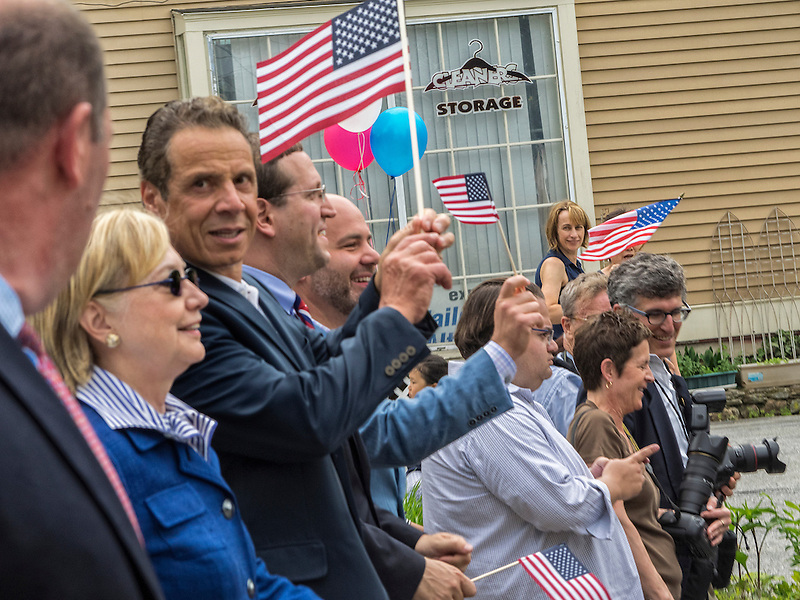 I’ve often heard people say that Hillary and Bill aren’t “real New Yorkers,” and while they aren’t from my home state originally, they have made this town home. I remember the first time my daughter came home from grammar school and told me Hillary had sat next to her and her friend Emma during a school play. Or the first time she said, “I know what Hillary and Chelsea are getting for Christmas,” having helped the former president pick out jewelry for them at ICD where she worked during high school. Did you know that Bill Clinton delivers candy each year at Christmas time to all the stores he frequents in town? It’s a nice gesture. 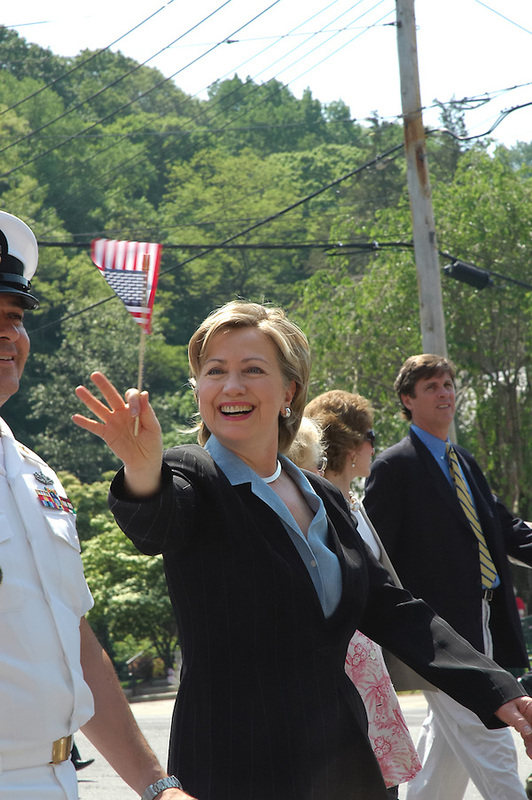 As my daughter Liz and I cheered on Hillary during the parade this year, she reminded me that back when she was a Girl Scout, marching in the parade with Hillary, she had the chance to meet her and told her they were doing a car wash to raise funds. 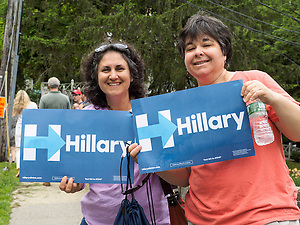 Hillary made sure that all her staff lined up for the car wash, helping the girls raise money. 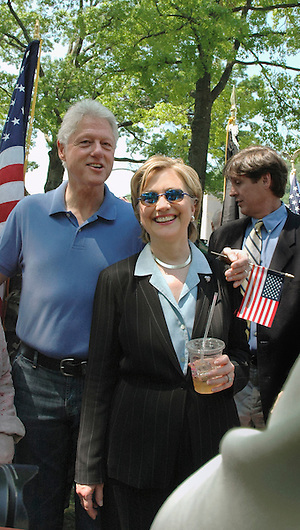 Here’s to Chappaqua soon becoming the hometown of two presidents! Interesting read Marianne and your images are great. What a great read! I thoroughly enjoyed every word…and it’s so nice to hear of the human and “citizen/neighbor” side of the Clintons as opposed to media hype, pot-stirring and BS! Thanks Lee! I always felt that if people had the chance to meet Hillary in person they would have such a different view of her. I’ve been lucky to speak with her and with Bill Clinton on several occasions, and they have always been so smart, gracious and funny. They both really take the time to listen to you and make you feel like you’re the only person in the room.